Many banks have suddenly started charging for using your debit card. Therefore, you need to take a stand and avoid having to pay excessive fees for debit cards. Here are some ways that you can prevent having to pay large fees for debit cards. If you have several different accounts with your bank, you can ask to have your fee waived. Some banks that have started charging debit card fees have started to give loyal customers a free pass when it comes to debit cards. You can find an alternative method of paying for your purchases. You can always pay with cash, but this will require a trip to the ATM machine. Most banks do not charge for getting money out of the ATM; however, you need to make sure that you go to your own bank’s ATM, so you can avoid third party charges. You could also pay with a credit card or check. 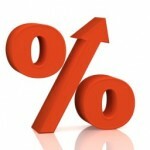 Because credit cards might charge a high interest rate, you want to try to pay off the balance each month. You could even try a secured or prepaid credit card. They operate much like a debit card; however, some charge an annual fee, so you want to make sure that you read the fine print. Before you pay with a check, make sure the retailer accepts that form of payment. Be sure to write the check before you get to the register, so you can avoid getting dirty looks from other customers. You can still find a bank that does not charge debit card fees. Search online and shop around for other banks that offer the services that you need. You might try a local bank or credit union. Smaller banks tend to charge less than the larger banks. In some cases, if you threaten to switch banks, your current bank will automatically waive the debit card charges. Debit cards are a convenient and easy form of payment; however, you want to make sure that you are not charged excessive fees for using your card. Therefore, you need to take the proper steps to prevent having to pay large fees for debit cards. You can then save money, so you can use the cash on something else that you really need.